Biting The Hand That Feeds You: "Pink Dip" - Kid-Friendly Radish Recipe, Without That Peppery "Bite"
"Pink Dip" - Kid-Friendly Radish Recipe, Without That Peppery "Bite"
And now this year we got a bunch of radishes two weeks in a row! So now I had two bunches of radishes going bad. In desperation, I turned to the only place I could trust for some help. Facebook! 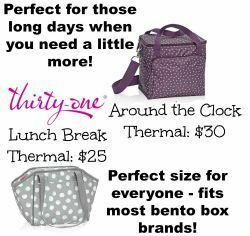 My bento blogging buddies gave me a variety of suggestions for reducing the peppery bite, but the best one seemed to be to roast them. And one of the suggestions included blending them with cream cheese as a spread. I like cream cheese. And the red radishes would make it pinkish. So Z might even be willing to try it. I'm in! Preheat oven to 375 F. Line a baking sheet with parchment paper or Silpat mat. Step 3: Add Italian seasoning, salt, garlic, and basil, or whatever other ingredients you've chosen. I happened to have a few leaves of fresh basil from a "Free, Take Some" box at our CSA farm. Otherwise I probably would have just stuck with my Italian seasoning and garlic. Blend well. I've tried this with chives and rosemary once too, since I had them on-hand. I found some plants on clearance and figured anything that survived two months outside a drug store had a will to live that even I couldn't crush. So far, so good! But the basil was by far our favorite. So I found a basil plant to try and kill. So far it's defying the odds and thriving! I hadn't wanted to dig out the food processor and risk waking up the kiddos (it's pretty loud,) so I used my immersion blender. Plus it's much easier to clean! Sadly, it's crap at blending things smoothly. Which is okay, since my Cuisinart is too. My smoothies are more like "chunkies." As were my radish chunks in this dip. Don't get me wrong. Much of it was chopped and blended. But there were many large chunks. However, the cheese was much smoother than when I used my cuisinart in a later batch. The food processor made my dip all choppy and grainy looking. But no chunks! If you had let the cream cheese soften first, to aid in the blending, (or if it got soft because the baby woke up and you had to go feed her and forgot that you had left it out on the counter...) let dip chill at least an hour in the fridge before serving. Also, the flavor of the herbs gets enhanced over time, so it will taste even better a day or two later. To give this dip its first taste-test, and to try and weed out some of the larger chunks so that Z wouldn't be turned off by it when she saw it for the first time, I had a little midnight feast. I used some mini pita pockets, some small lettuce leaves, ham, and radish dip. I spread the chunks dip thinly on both sides inside the pita pockets (after slicing them into halves,) inserted half a lettuce leaf, and folded in a slice of all-natural ham. ZOMG. Yum! Crazy good. So good, in fact, that I packed some more sandwiches in my lunch for the next day. And the dip tasted even better, after the cream cheese had more time to absorb the flavor of the herbs. I also recently bought some gluten-free lentil chips which were on super sale, just to try out. 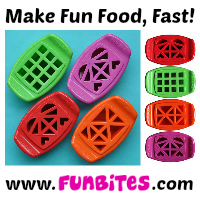 Healthier than potato chips and most commercial crackers. Blech. Not a fan. Tried them with my dip. The dip drowned out their blechy flavor and texture! Win! 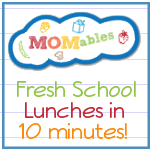 If pink ISN'T a selling point with your kiddo like it is mine, try white radishes. Or baby turnips You could also sneak some cauliflower in there (microwave it for 5 minutes first to soften it,) while you're at it, although it might feel a little grainier. And maybe a few spinach leaves, since they'll blend right in with the seasonings! Some spinach leaf juice would add a green color instead, without affecting the flavor too much, or turmeric for yellow. Some pureed tomatoes or tomato paste should make it a light orange or red, rather than pink too, but no promises. And condensing some boiled purple cabbage water should make it blue or lavender, if you think adding color would enhance your child's willingness to try it! I personally like it best on mass-market pretzels, which aren't exactly the healthiest of options. But they are soooo tasty! I also like it on veggies, and spread onto a toasted "Everything" bagel. Plus the ham and lettuce pita pockets. I wrote a guest post over at MOMables with this recipe, and the photographs are far superior, so you should check it out! 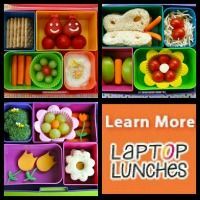 Plus if you use ziplist to save recipes, it is set up for that! My CSA farm had radishes in two different colors. Z chose white ones the first week, and I chose red ones the second. I used the red ones for the dip, to make it pink. But I didn't want to make a double batch, in case it was no good. So I roasted them both at the same time, but prepared the white ones a little differently. I chopped up a few smallish potatoes (maybe a pound?) 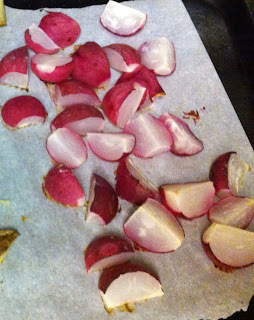 and tossed them and the raw white radish quarters in 1-2 tsp of olive oil before laying them out on the baking tray. I sprinkled on 1/2 tsp salt and 2 tsp Italian seasoning before baking them at 375 for 20-25 minutes. Done! 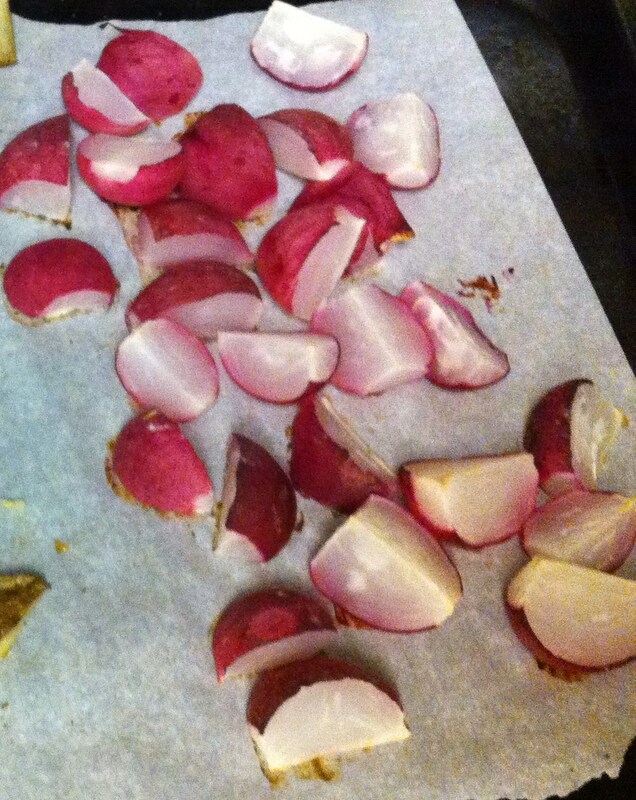 I had hoped the radishes would blend right in with the potatoes, but they stuck out like sore thumbs. They were surprisingly sweet, and I almost didn't like them with the savory seasonings. (The sweetness was diluted by all the cream cheese in the dip, so mighty tasty with the savory seasonings.) I might try brown sugar and cinnamon next time, so Z might actually try them! She initially refused to try these, but then went gaga over the potatoes, and ended up picking all the potato chunks out of her serving, plus most of the ones out of Hubby's and mine too! Hubby liked the radishes okay, and so did I, so these recipes are both ones I would try again to use up radishes. 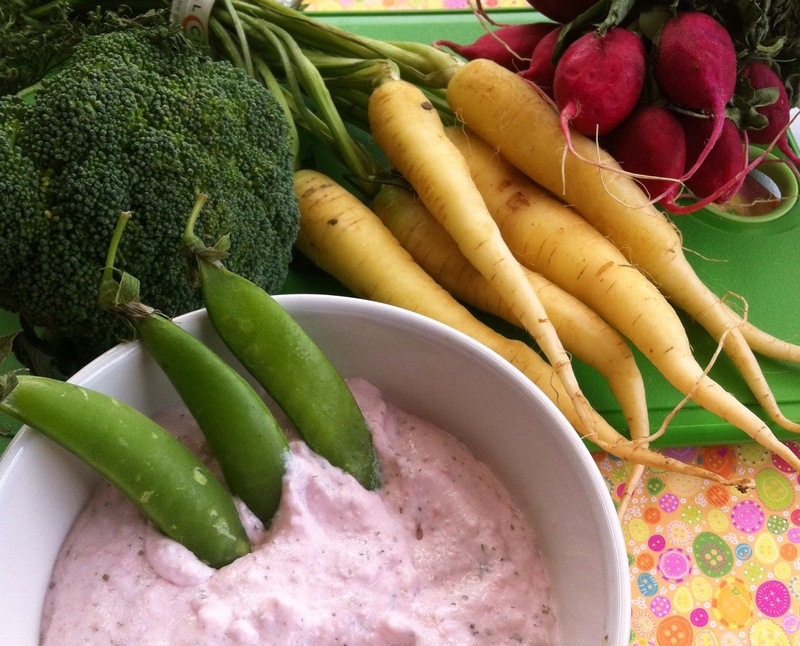 I wouldn't BUY radishes just to make these... well, maybe the dip. For a party. If I could blend it better. I found that when my food process became bad at making things smooth, all it really needed was a replacement blade to cure it. It was about $35 for my particular model. Totally worth it. (I also had to get a replacement work bowl when mine cracked, but cheaper than a new machine.